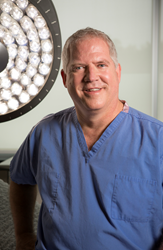 The Bengtson Center for Aesthetics and Plastic Surgery in Grand Rapids is home to Dr. Brad Bengtson, who learned in early March that his name is once again on a list of top Michigan plastic surgeons. This recognition is not the first for 2016. Dr. Brad Bengtson, a plastic surgeon at the Bengtson Center in Grand Rapids, Michigan, is humbled by the awards and accolades he's received over the years, including in March 2016. No matter how many times he receives correspondence alerting him to a new honor or accolade, Dr. Brad Bengtson never loses his sense of gratitude, personal accomplishment, and pride in his professional, hard-working team. He had cause to reflect on all of this and more in early March, when he received word that he had been nominated and accepted to the American Institute of Plastic Surgeons’ annual list of the 10 Best Plastic Surgeons for Client Satisfaction in the state of Michigan. “It is an incredible honor to be recognized, but at the end of the day I am just developing and applying the gifts God has given me to help patients achieve their goals of restoration. Our practice is also completely patient focused, and that really shines through,” Dr. Bengtson said. Working from the Bengtson Center for Aesthetics and Plastic Surgery in Grand Rapids, he strives every day to deliver the results and care that women and men who come to his practice expect from a world-caliber plastic surgeon. The American Institute of Plastic Surgeons rates top-level professionals, publishing a list of the 10 best surgeons in each state. The selection process is based on nominations made by peers or patients and research into each nominee’s background and record, as well as independent evaluation. Selection criteria for this plastic surgery award include maintaining a perfect 10 in terms of client satisfaction, staying free from negative feedback and complaints, and being a leading presence in the world of plastic surgery. The judges also consider other awards, education, and plastic surgery and other medical association memberships. The institute distributes its lists as an independent resource for people seeking a plastic surgery professional. Earlier this year, Grand Rapids Magazine published the results of its annual readers’ poll, revealing that Dr. Brad Bengtson was named Best Plastic Surgeon by voters. The February 2016 issue detailed the winners in 95 categories. This marks Dr. Bengtson’s sixth consecutive year receiving this award from the patients of Grand Rapids and West Michigan. Also in 2016, the Bengtson Center for Aesthetics and Plastic Surgery was named a CoolSculpting® Crystal Premier practice, given the number of fat-reducing treatments performed at the Grand Rapids office each year. The treatment is rapidly growing in popularity among patients who want to reduce stubborn fat but without any downtime, and is also among Allergan’s Top 100 practices nationally and top three in Michigan for the past three years. Learn more about the Bengtson Center for Aesthetics and Plastic Surgery in Grand Rapids, Michigan, where the multi-award-winning Dr. Brad Bengtson offers breast augmentation, tummy tucks, and more along with his new associate, Dr. Ryan Mitchell. Call (616) 588-8880 or 1-877-822-8880 to speak with someone or schedule a consultation. You may also contact them online.